Are these bad for these cars? Vetec Controller by Apexi, from SpeedQuest in Waukegan Illinois. i have an APEXi AFC neo. i love it. dropped my vtec crossover to 4700. there really is a lot you can do with it, especially if you have put on some upgrades. 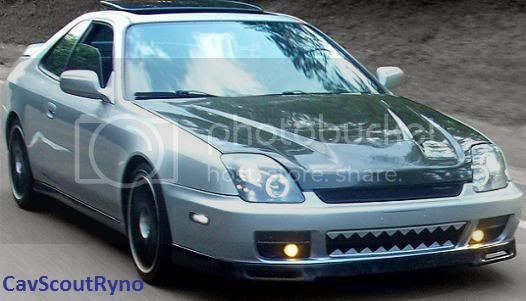 Well Im currently looking at a Prelude, trying to buy it actually. So my question is, are those the mods that the Vetec controller goes well with? which vtec controller? if it only controls vtec than that is all he tuned. where does the vtec crossover? if its a controller like the neo or afc or something like that than he would be able to adjust the a/f ratios. You are able to adjust when the vtec crosses over with his controler. I can show a pic possibly if that would help? I know its an apexi controller. What he showed me when I went to go look at it was how high he can set his RPMs before the vtec kicks in or how low the RPMs need to be before the vtec kicks in. As kinda stated above, there are two things commonly referred to as 'VTEC controllers". There are the controllers, which only enable you to change the engagement point of the high cam. These are a waste of time, effort and money. Generally (meaning every one that I've read about) they only change the engagement point and don't move the fuel and ignition maps to suit. While engaging the high cam at 4200rpm might be cool, you're at risk of damaging something since you've got the extra lift and duration of the high cam but the fuel and ignition maps of the low. At the very minimum the engine will run lean until the factory changeover point. Products such as the VAFC, VAFC II, AFC Neo, EManage etc are worth having, and stated above these allow the tuner to play with air/fuel ratios, ignition maps, etc. While they are only a piggyback, and in all reality a band-aid solution, if you are only doing basic mods like the intake, header and exhaust they are a great solution and in all seriousness anything more is overkill. It is a VAFCII Apexi Vtec Controller, Airflow Convertor it says in the picture on the actual controller.